UK project THE LIGHT AFTERNOON consists of Steve Newland (guitars, keyboards) and Annette Appleton (vocals), who have been creating music together in various guises since 2002. The duo released their debut album as The Light Afternoon, "My Parallel Life", in 2012. 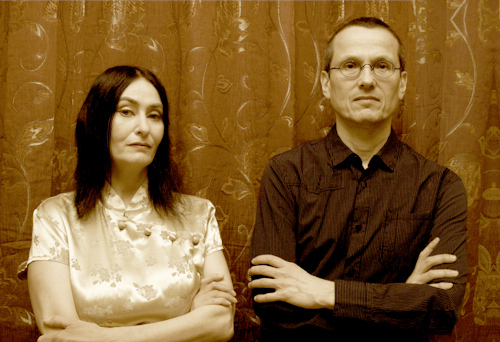 It is by the name of The Light Afternoon, that this duo, Steve Newland and Annette Appleton, have for several years produced work that is musically rich, complex yet seemingly fairly simple, interpreted with love and passion but without show of strength nor technique, without pretension of virtuosity. A gentle music, that is light and melancholy while at the same time, profound, vast and sometimes disturbing. Steve is a talented multi- instrumentalist songwriter, while Annette takes care of the vocals and the fabulous creations for the album covers. The Light Afternoon has given birth to a very curious universe made up of sounds and images. On first listen, various names inadvertently and unconsciously come to mind: Renaissance, Pink Floyd, Moody Blues, The Church, Dead Can Dance, Cocteau Twins, and these are joined in a close brotherly relationship, a sort of addictive post rock psych-bluesy round (perpetual canon) in a state of probable equilibrium, flown over by Annette's unique high- pitched voice. Eventually, however, one rapidly realizes that The Light Afternoon resembles nothing that has gone before. But the common thread with those afore-mentioned bands is that they have all created their own incomparable unique universes, with a definitive, permanent, yet immediate charm. The cover illustrations together with Annette's voice, add enormously to the attraction and cohesion of this universe. And even if her voice could be compared to others, Annette is one of those rare singers capable of singing with the purity, fragility and timidity of a wounded angel. The Light Afternoon is therefore a band that resembles no other and yet their albums give the impression that they have always been with us, been a part of a music lover's life since always, and that they are music we have always listened to. Their third and incontestably best album to date, The History Of Mr Puffin Man, is expressed in an unclassifiable musical language, alive, and drawing brilliant images from that life, like gathering succulent fruits from a perfumed orchard. 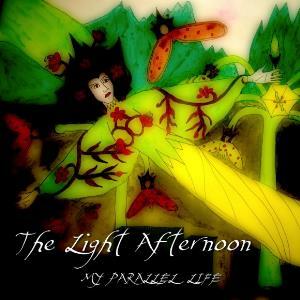 If the two previous albums (My Parallel Life- 2012, Among The Family Tree ? 2014) already contained numerous astonishing nuggets « It Couldn't Happen Here », « The Man From Altea », etc), The History Of Mr Puffin Man is a real jewel box, full of sparkling gems. Right from the start with « A Boy on a Farm », one hears intoxicatingly Dead Can Dance-like waltzes that evoke sombre funeral procession music and deploy dark chorale bursts. With « the Lord Of Amber And Grey », on a more jazzy rhythm, the music flows and melts, asking milk and honey questions, to which it answers itself with some brass sounds, heralding in an unfathomable roll that announces a tempest of wind instruments. « Solstice I Named Her » transforms the space around us into a place where angels should be born to live, and the world would become a better place. « Mystery Plays » is a majestic messenger with a discrete medieval perfume which urges one to recognize the secret wisdom born effortlessly from past life. « Coal Iron Crops & Tea » appears to be made from a thin layer of falling ice and stones, thus possessing movement, weight, grace and virtuosity. 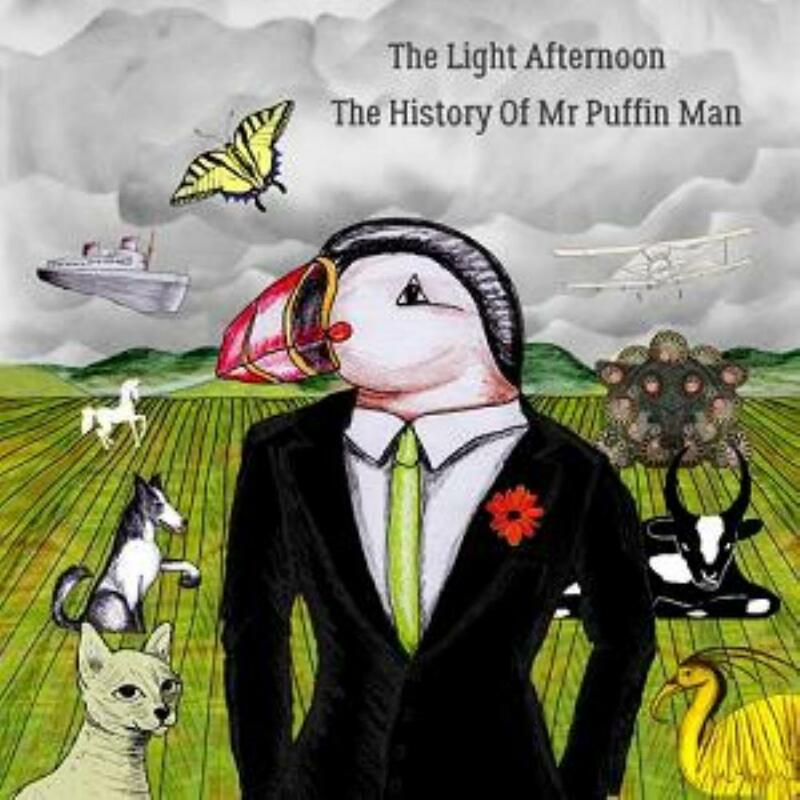 The History Of Mr Puffin Man is like an exhibition of paintings, filled with landscapes of light and shade, radiating a sort of impenetrable white essence. It is like a peaceful fresco, drawn from light and flesh and that one can only perceive under starlight. 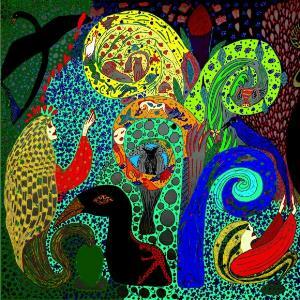 It is a music that addresses men and women capable of sensitivity and passion. A music which surprises but there is no need to look for something astonishing to understand and appreciate it. There are probably lots of albums that have tried to express the same ideas and sentiments but none resemble this one. Only The Light Afternoon is capable of acquiring that language and making it take off for other skies, like a bird. When I listen to this album, something happens deep within me that I am unable to explain, I sense an impenetrable place inside, that vibrates with a tenuous and inexpressible mystery, a fierce internal resonance made from blood, devotion and identity. I do not have sufficient mastery of any language to completely give account of the perfect harmony of all this music. The only word to designate it, is: beauty, but that is insufficient. Up until now, the immense artistic talent of Steve and Annette was one of the best kept secrets of England, But now everything will change. The extraordinary The History Of Mr Puffin Man is here to remedy that. To miss this album would be worse than a crime, and would seriously lack vision.